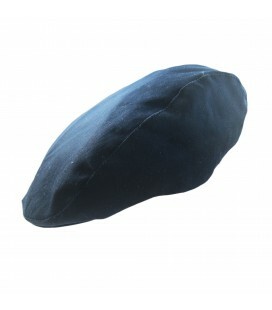 There is nothing like our poor boy hats to accessorize your little boy's outfit. Make of any outfit an extraordinary outfit! These comfy super-stretch leggings are ideal for any baby's monkey business. These are soft and classic leggings with an elastic waist which are perfect to match many of our Koco Bino outfits. A white shirt is always a must have inside your boy's cupboard so he can be ready for any special occasion. The pocket on the left and the studs are the perfect details to give your little boy a more trendy look. There is nothing like our blazers. 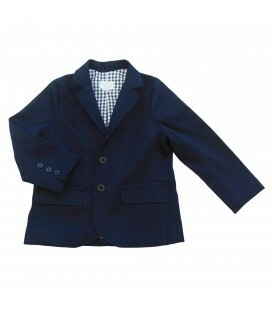 If you are looking for a smart outfit for your little boy, this is the answer! Match it with our chinos, shirts and moccasins for an incredible look! Elegant Baby has designed this stunning bib in white for you to accessorize your little one's christening outfit. Suit up! 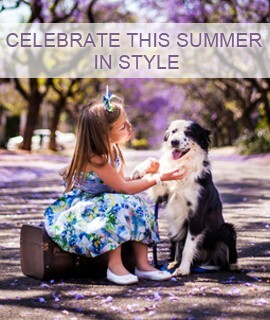 It is time to celebrate in style and nothing is sweeter than a little boy wearing a bowtie. Choose among our wide variety. Match this stone bowtie with our stone chinos and waistcoats. Soft yellow and grey cotton romper dress with long sleeves.